Staugsmas, Kadisas, Ir Kiti Eilerasciai (Howl, Kaddish, and Other Poems) translated by Kasparas Porcius and Marius Burokas for Kitos Knygos (Other Books), the first book-length Lithuanian translations of Allen’s poetry recently (belatedly) appeared (it was launched, just a couple of months back, at the Vilnius Book Fair). If you ever wondered how “America” sounded in Lithuanian (!) , check here. There is also footage of Marius Burokas reading his translation of “A Supermarket in California”, and Rolando Rastausko recalls the time, in 1984, when Allen, as part of a PEN group, visited Vilnius. Fulbright scholar and poet-in-residence at Vilnius University, Jake Levine, rounds out the program (in English) with his presentation, “How Ginsberg Revolutionized America Through Poetry”. Speaking of Eastern European translations, hats off also to Vladimir Levchev. 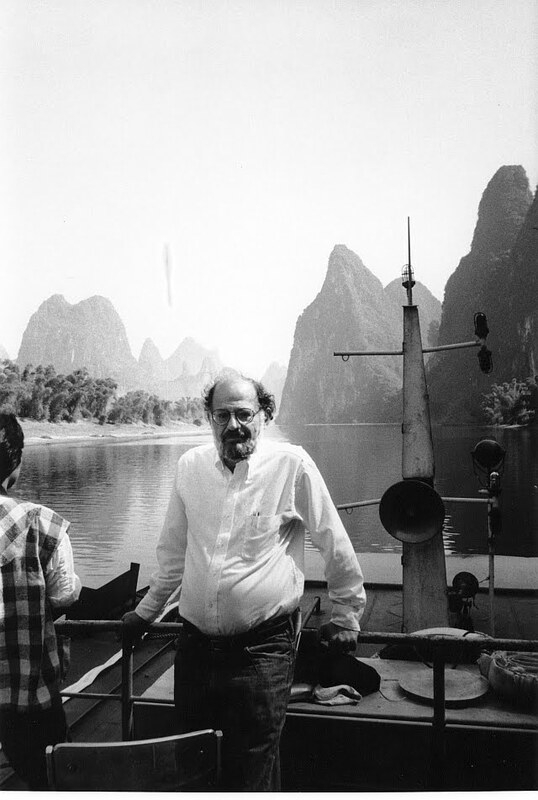 A long-time translator of Allen’s work (his Krila Nad Chernata Shakhta (Wings Lifted Over The Black Pit), a selection of Ginsberg translations (this time into Bulgarian), appeared in 1983; more recently (2009), Voi, his bilingual edition of Howl, came out from Sofia-based Colibri publishers). We might also mention, since we’re on the subject, Romania. Domnica Drumea and Petru Illescu‘s edition of their Ginsberg translations, Howl si alte poeme (Howl and other poems) appeared last year from Polirom as a handsome paperback. 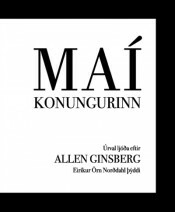 Eirikur Orn Nieodahl‘s Maikonungirinn, (Howl), published in an edition with a format not unlike the famous City Lights book, came out in 2oo9. Eirikur, still in his early thirties, remains one of the youngest of Allen’s translators. Poet, novelist (three novels published so far! 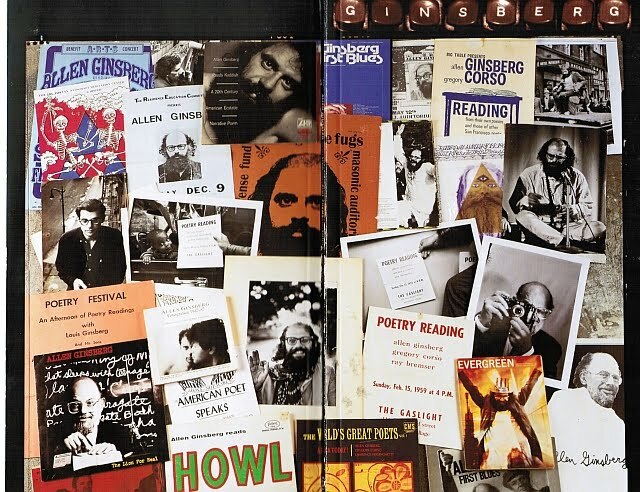 ), translator, performer, his notes on Allen, “Allen Ginsberg Reference Frame” (basic biographical information) can be accessed here. His own work, leaning significantly on the performative and the experimental, may be heard here and here. Recent involvement with the American “Flarf” collective, and one member in particular, Sharon Mesmer, (a sometime student of Allen’s at Brooklyn College), led to this lively and stimulating exchange. “Moloch the incomprehensible prison! Moloch the crossbone soulless jailhouse and Congress of sorrows! Moloch whose buildings are judgement! Moloch the vast stone of war! Moloch the stunned governments!” – “Beat poet Allen Ginsberg had seen it all coming to an America enthralled to the idol of consumerism that he called..Moloch (after Moloch, or Molech, the all-consuming Canaanite fire god)” – The visionary litany (of “Howl part II”) continues to make sense, half a century (and more) on. Here’s Moloch illustrated by Lynd Ward (an artist very much on Allen’s mind at the time of composition). “Lynd Ward’s images of the solitary artist dwarfed by the canyons of a Wall Street Megalopolis lay shadowed behind my own vision of Moloch”, he writes (in the 1996 introduction to Drooker’s edition of his Illuminated Poems). For more on Ward’s work, see Art Spiegelman’s essay on him here. And here‘s a video of Allen reading the Moloch section (in Prague, in 1996, we think). Note him blowing his nose and wiping his glasses and then gathering up the momentum, barely missing a beat! There are, of course, several other recordings (both audio and visual) of Allen reading this seminal poem ( and this seminal section of the poem) – to begin with this and this. 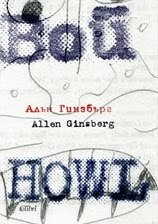 For more details, check out our Howl pages on Allen Ginsberg dot org. (here, and, for a gathering of miscellaneous written materials on the poem, see here). This past Friday (March the 4th) in Venice, at the Peggy Guggenheim Collection (in the garden of the Palazzo Venier dei Leoni ) there took place a unique presentation, orchestrated by Venetian artist Marco Nereo Rotelli, “Good Morning Beat”, an hommage to Allen and the Beats, featuring four women poets reading sections of the poem (as translated) in their own native languages. The performers were Maria Grazia Galata, reading in Italian; Roli Hope Odeka, in Nigerian; Hadamar Oudghiri in Arabic, and Loredana Pra Baldi in Ladino (Friulan). The event also included the premiere screening of a video by Clare Ann Matz about Allen. We missed it in our last Friday’s Round-Up, but here’s (catching up) the Repubblica video report (following the obligatory commercial).